Our story begins in 1928. At the beginning, all we had was pure raw materials, good milk and knowledge of traditional cheesemaking. It was necessary to create unique, quality and tasty products. Over the years, the experience we have gained, the perfect technological equipment, innovation and the search for new ideas have been the factors that contributed to the creation of the exceptional taste and quality of our products. For over 100 years, we have brought to your table, exquisite, traditional, delicious products. Our dairy is certified with a Food Safety Management System. Our milk, our raw material, comes from selected herds of the wider region of Ilia. A characteristic of our cheese dairy, which is responsible for its quality products and its continuous development, is the "Family Character". We are waiting for you to join our family, and enjoy everyday products made with love and devotion. What really gives a special flavor to our cheeses, our yoghurt, our cream and our rice is the selected raw materials and especially the GALA. In all our products we use exclusively fresh 100% sheep HELLENIC milk. Our milk comes from selected flocks in the wider region of mountain Ilia, which graze freely. All our cooperating breeders pay great attention to the quality of their products. 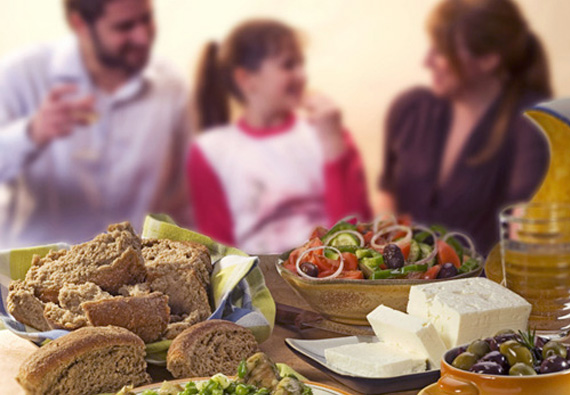 Feta is the most recognized Greek product internationally and is an integral part of the Greek eating habits. Our company produces feta with the characteristic PDO (Protected Designation of Origin) mark and is intended to meet the needs of both the Greek and foreign markets. The award of our products with the confidence and recognition of their quality and taste by our consumers inspires us and gives us the strength to continue to provide quality and tasty products. Bread with tomato, like my grandmother used to. Do you want to learn our news? from 100% sheep and goat milk collected by farmers in our region. Every day we gather from the best flocks of mountain and semi-mountainous Ilia, Milk the raw material of our products. Once it has been checked to determine its quality, it is processed and pasteurized.